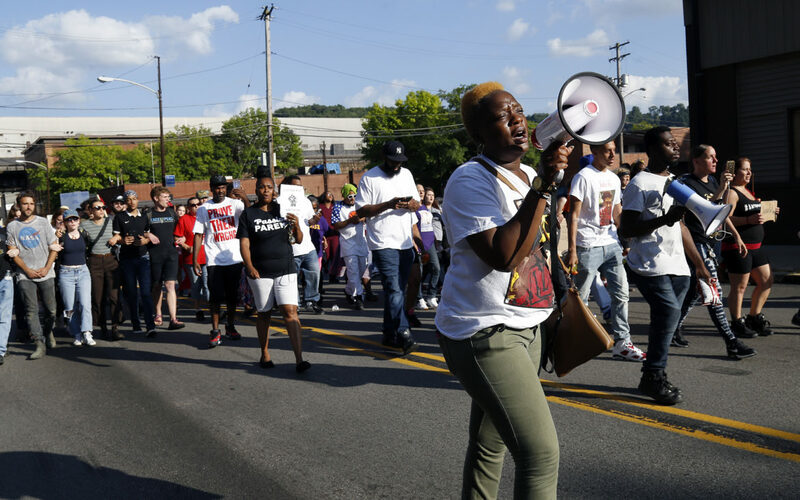 Among the hundreds of protesters demanding justice for Antwon Rose Jr., black mothers seem to be the ones hurting the most. Moms like Brandi Fisher, president of the Alliance for Police Accountability, and Allison McLeod, founder of Building Bridges Support Group, were among the many black mothers and caregivers who have been participating in demonstrations, giving speeches and calling for accountability since the June 19 killing of Rose, a 17-year-old boy shot dead by East Pittsburgh police officer Michael Rosfeld. I talked to a few members of a local Facebook group for black moms about it. They shed light on how serious of a toll police brutality and violence targeting black kids is having on them. Many of them feel like their collective outcry for peace and outright terror of local law enforcement they’ve expressed have fallen upon deaf ears. “No [non-person of color] will understand the fear we carry when our children are out of sight,” says Marcia Cutts, a 32-year-old mother of three. Shalela Forbus, a 42-year-old mother of two, worries that her son’s stature puts him in danger. "I have a 5-foot-2, 180-pound son that just turned 11 this month. I fear that because of his size he will be considered a threat. Outside of the house, what can we do? We cannot trust anyone,” she wrote. Kia Davis, a mother of two, said her hurt and worry was compounded when she read comments on news articles about Rose. “I don't know why I did it. I knew what I was going to read but something still compelled me to look, thinking maybe I would get a glimpse of humanity...all I saw was pure demonic hatred,” wrote Davis, 37. The effects of racism and police violence are far-reaching when it comes to black mothers’ mental, emotional and physical health, according to peer-reviewed research. Heart attack, maternal mortality and morbidity, inability to function in day-to-day life and post-traumatic stress disorder are only a few of the conditions researchers cite when discussing how black women are damaged by police and community violence. More recently, the death of Erica Garner has put a national spotlight on the correlation between police violence and black women’s health. Garner’s father was asphyxiated and subsequently killed by police in New York. The 27-year-old mother of two died of a heart attack just four months after giving birth. In the years after her father’s 2014 death, she had become an activist and community organizer. Her mother is quoted as saying she never recovered from her father’s death. Locally, McLeod of the Building Bridges Support Group is well acquainted with the mental turmoil that mothers experience in the wake of community violence. She holds meet-ups for parents who have experienced violence. And, McLeod’s brother, Gregory McLeod, was the first man to be murdered in Pittsburgh in 2017. He was 28. “Stress, anxiety, but I keep fighting. My brothers and sisters have kept me and help me. That’s the good thing that comes from the protest. I’m not the only one going through this. We’ve all lost someone. We form our own bonds. They took one, and we grow closer,” she said. McLeod has been active in the protests on behalf of Rose and was a leader in the winter protest of Pizza Milano in the Hill District after a young woman, Jade Martin, was physically assaulted by a worker in the pizza shop. 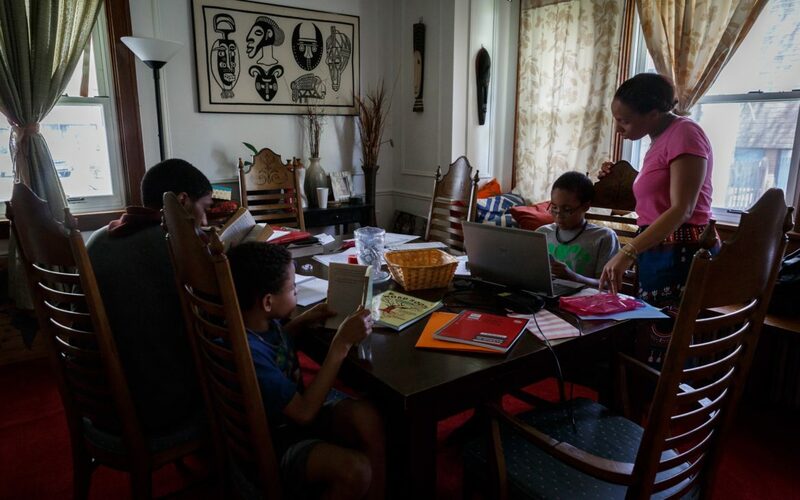 In a recent study, Christen Anne Smith, an associate professor of anthropology and African and African diaspora studies at the University of Texas at Austin, wrote that the effects of the unaddressed, state violence toward black boys and men has both created and rendered invisible the suffering among black mothers and caregivers. 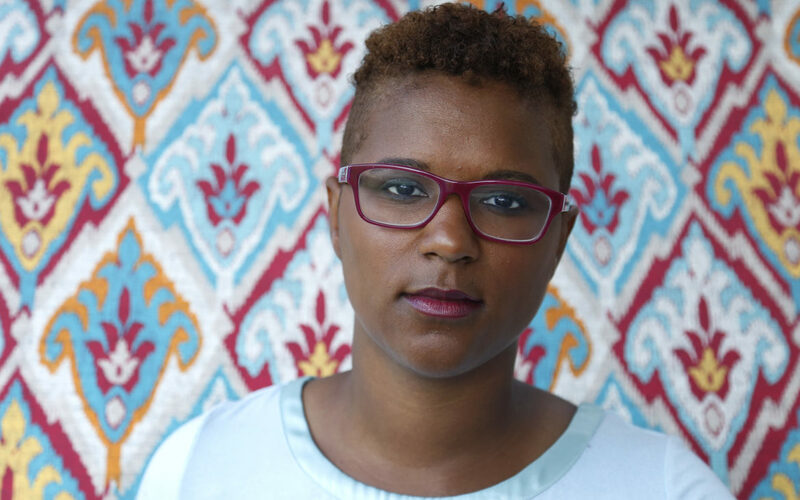 Her research of police-led violence in the United States and Brazil shows that even for black mothers who are not directly, physically affected by police violence, the terror of witnessing repeated violence upon victims who resemble their own children has the ability to affect them on deep emotional and mental levels. Jada Shirriel, CEO of Healthy Start, Inc., an organization that works with at-risk women in Allegheny County, said violence in urban areas needs to be viewed as a public health issue. “Regardless of the perpetrator, the inability to escape community violence contributes to chronic stress,” said Shirriel, a mother of two. Cheryl Hall-Russell, a middle-aged mother of two, said news of Rose’s death affected her deeply. “I literally felt nauseous, and it was joined by rage and then an unstoppable flood of tears. Post-tears, I did what black women have done for decades—pulled myself up, talked to my peers to see if they were OK and started planning to engage,” Hall-Russell wrote. Smith’s research said these types of experiences are slowly killing black mothers and the caregivers of black children as they do the one thing that a racist society abhors: trying to raise more black lives that matter. So far, the year of 2018 has seen 501 police killings. Antwon Rose Jr. was No. 490. Muffy Mendoza is the founder of Brown Mamas, a movement that champions Black mothers to be the gamechangers our communities need. She can be reached at brownmamas.com. Let’s talk about RACE: The conversation Pittsburgh needs to have. Let’s talk about race, Pittsburgh. This is an invitation to our unique community-driven project on race and racism. It’s also a commitment by PublicSource to facilitate an ongoing conversation examining local racial attitudes and how people from our community perceive race. Why the censorship of what she said with the bracketed editor’s “[non-person of color]” remark? If she said “fascist whitey” then I would really like to know that so we can understand how deep white racism is in the US and particularly greater Pittsburgh! Article states: So far, the year of 2018 has seen 501 police killings. Antwon Rose Jr. was No. 490. In reality, at least 620 people have been killed by U.S. police so far this year. Antwon Michael Rose was the 579th.